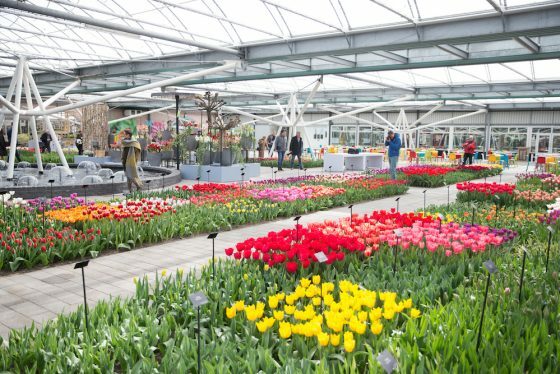 Spring is officially here and that means the Keukenhof bulb gardens in Lisse are now open. It is the 69th time that the gardens will have opened to the public and they are expecting over a million visitors in eight short weeks. This year’s theme is romance and so among the special gardens in 2018 are Cupid’s Garden, with a kissing gate, a Holiday Romance garden, with a tropical atmosphere under the palms and Rob’s Oriental Romance. For those of you who are a little less soppy about your flowers, the Hipster Garden could be a good alternative, with such no-nonsense pastimes as chopping wood, throwing some meat on the barbecue and knocking back a beer or two! Dutch grandmothers have many wise tips to make the most of cut tulips. For a start, they say you should leave the flowers wrapped up in paper and put them into a vase of water (at room temperature) overnight. This will keep them fresh for longer. To stop the blooms drooping, push a pin through the stem just under the bloom. This is supposed to stop them growing – which many cut tulips do. A good bunch of tulips will last for well over a week, but beware of those bargain bunches of 50 tulips for five euros… they may well be past their prime. All new tulip varieties have to be registered with the grandly named Koninklijke Algemeene Vereeniging voor Bloembollencultuur (KAVB). It has over 8,000 different kinds on its list. Among the most popular sorts are the Strong Gold, the Leen van Mark, the Debutante and the Viking. The amount of land dedicated to growing bulbs in the Netherlands has soared by almost 75% in the last 35 years. Most bulbs are grown in the sandy soils of Noord-Holland but Drenthe, Flevoland and Overijssel are doing their best to catch up. The tulip is still the most popular bulb by far: almost half of the bulb fields bring forth tulips. 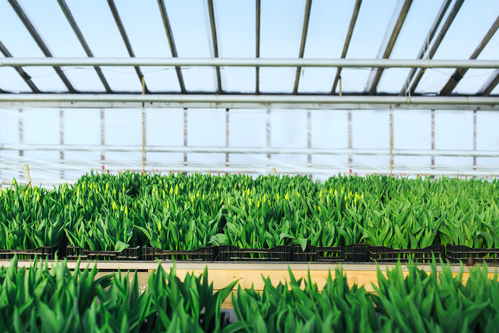 The Netherlands exports some two million bulbs a year and has almost 400 growers. Few of the riotous blooms you see in the Netherlands in spring are going to end up in a vase on your sideboard. Most of the cut tulips which you buy in shops have been grown in greenhouses. They are first planted in sand boxes and stored in a refrigerated room. Then they are moved into greenhouses to speed up the blooming process. This means growers can ensure a supply of tulips over several months. The ones which colour the fields in spring are being grown for the bulbs. Once the flowers are in full bloom, the heads are stripped off and discarded. The bulbs themselves are harvested by big machines later in the year. Then they are washed and the dried roots and bulblets are removed by hand, a process known as bollen pellen. The bulbs are then graded according to size. Big bulbs are sold and smaller ones kept to plant next year. It takes two to three years for a bulblet to become big enough to sell. In the 17th century, Haarlem became the centre of tulpomania, or tulip madness. Bulbs like the Semper Augustus could fetch prices of 10,000 guilders, which was what you would have to fork out for a house on one of the canals. The speculative bubble burst and instead of bulb-shaped gold ingots, tulips became tulips once more. A book by Alexandre Dumas about a competition to grow the elusive black flower. No one has yet succeeded but some have come close. On the market today are the Black Parrot, the Queen of the Night and the Ayaan Hirsi Ali, named after the Somali refugee turned Dutch MP and anti-Islam campaigner who now lives in the US. Operation Black Tulip was also the name given to the process of deporting German nationals who lived in the Netherlands after World War II. During the last bitter winter of World War II when people in the Netherlands were starving, tulip bulbs became a source of sustenance. The war had stopped trade and there were plenty of bulbs to be had. The papers published recipes for potato, cabbage and tulip bulb stew. The bulbs, minus their green flower bud, took about as long to cook as potatoes and their taste is not dissimilar (apparently). 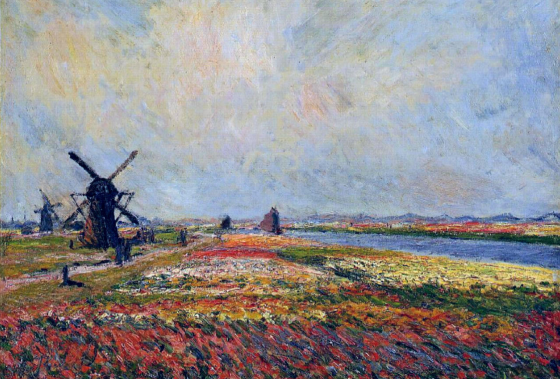 When French artist Claude Monet visited the Netherlands in 1886 he loved the tulip fields around The Hague so much he painted them five times. He sold all five paintings to Theo van Gogh, Vincent’s art dealer brother. 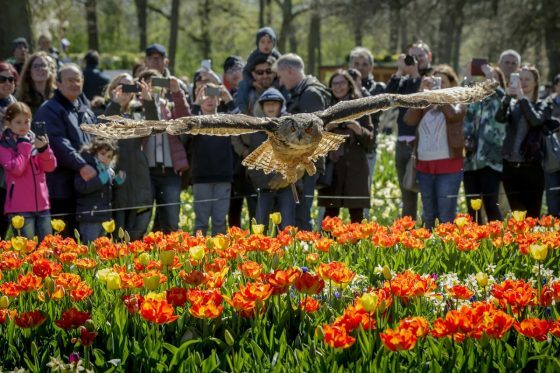 Apart from the Keukenhof, there are various other tulip-related things you can do – but remember, you need to wait a few weeks for the fields to be most glorious. Museum De Zwarte Tulp is in Lisse where much of the bulb action takes place and is housed in an old bollenschuur, the sheds where tulip bulbs were processed and stored. In the run up to April 21, it’s Corsoweek in the Bollenstreek – the area south of Haarlem where bulb growing is concentrated. The spectacular floral procession between Noordwijk and Haarlem takes place on the last day. Throughout April, Amsterdam has its own tulip festival with tulips scattered all over the city at 85 different locations. Amsterdam has a tulip museum next to a cheese museum and we think both are simply an excuse to sell stuff to tourists.